In the first post of this series, I introduced the challenges of building an electrical switchboard. These include meeting IEC 61439 standards while accounting for ongoing technology improvements. When it comes to the first group, preparation will pay off handsomely. For instance, make sure you check what’s been delivered against a packing slip and also make sure to inspect items when you get them. That will help ensure nothing is amiss later. The work and storage area should allow a logical layout of components in a cool, dry place. One factor you should keep in mind is that prolonged storage of copper busbars and sensitive electronic equipment is not a good idea. So, avoid excessive inventory of either. Now it’s on to the second set of tips: assembly of enclosures. An important point here is that enclosures do more than surround components. They also must protect equipment against environmental risks and people against accidental contact with a powered part. Two specifications, IEC 62262 and IEC 60529, come into play here. IEC 62262 defines an IK protection code as the ability of an enclosure to withstand an impact, like a hammer slamming into it. An IK of 10 versus 01 represents a more than 100-fold better ability to handle impact energy without degradation in performance, particularly with respect to creepage distance and ingress protection or IP. As for IEC 60529, that defines IP protection, which covers access to hazardous parts as well as penetration by solid foreign bodies and water. An IP55 rating, for example, indicates protection against access with a wire and against dust as well as protection from water sprayed from all directions by a nozzle. The IK and IP rating that must be met is determined by the environment the enclosure will be in. With those requirements satisfied, you can assemble the enclosure, following manufacturer’s instructions and adhering to the empty enclosure standard, IEC 62208. When doing so, make sure that there is continuity between parts and to the main protection conductor. The third group of guidelines concern busbars, which distribute power throughout switchboards. As noted in IEC 61439, power busbars must be chosen bearing in mind the rated current, the environment and type of switchboard being installed. Copper or aluminum may be used, provided that the quality of the conductor and its surface is adequate. At a 140o C max, copper allows for higher temperatures than aluminum, which tops out at 90o C for the bare metal. Busbars have to be sized to withstand both heat and dynamic stresses, which can occur during startup of equipment or when there is a fault. For the latter, busbars must be designed to tolerate the rated short-circuit current. The fourth and final part of these tips covers installing devices. The design of device layout in an enclosure should take into account heat constraints, available space, wiring entry/exit direction, and mutual influence between devices. With regard to heat, in general it’s best to mount those devices that produce the most heat in the upper part of the switchboard and, if possible, in separate columns. Since hot air rises, following this guideline avoids unnecessary heating of everything else. Also, don’t put heat sensitive equipment, like control/command devices, near items that produce a lot of heat. When considering available space, don’t forget about maintenance and future expansion. Both should be considered and allowances made. As for wiring direction, by that I mean will the wires enter from the top or bottom of the customer’s equipment? Follow these tips and you’ll be on the way to successfully building an enclosure and associated switchboard. 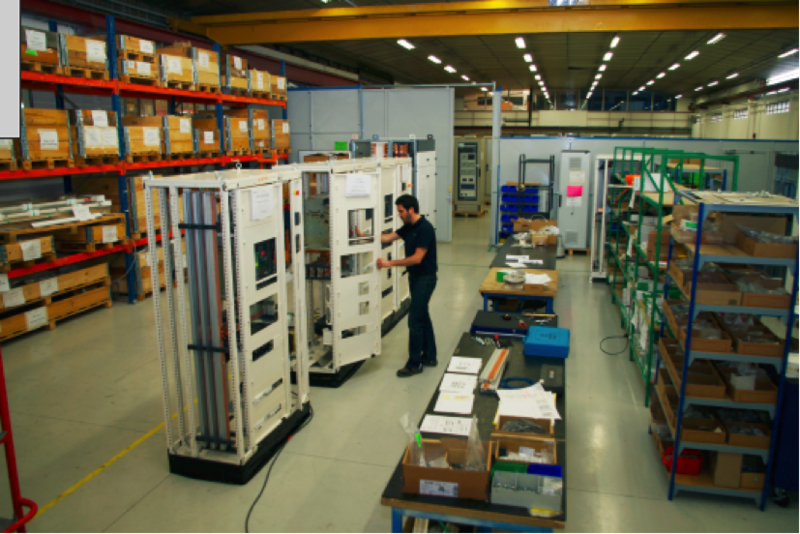 For more guidelines and information on delivery, storage and preparation of components; assembly of enclosures; construction of power busbars and device installation, please visit our panel builder’s information page. There you’ll find a wealth of material on the topics mentioned above. And look for the next post in this series. It will have tips on installing devices and power connections, as well as auxiliary and low-power circuits. Very informative. But I also want to also add when choosing a material for your bus bar you should also think about the weight of the material being used. Copper tends to have a higher weight than aluminum.